Nakakaruizawa offers copious nature appreciation spots, such as Karuizawa National Wild Bird Sanctuary Forest, the clear streams of Sengataki Falls and the babbling voice of Yukawa River. After enjoying a walk in nature, visiting art galleries, and seeing literary monuments, why not rest in a relaxing hot spring? Sezon Museum of Modern Art and THE TASAKI MUSEUM OF ART are popular places to ignite your imagination. 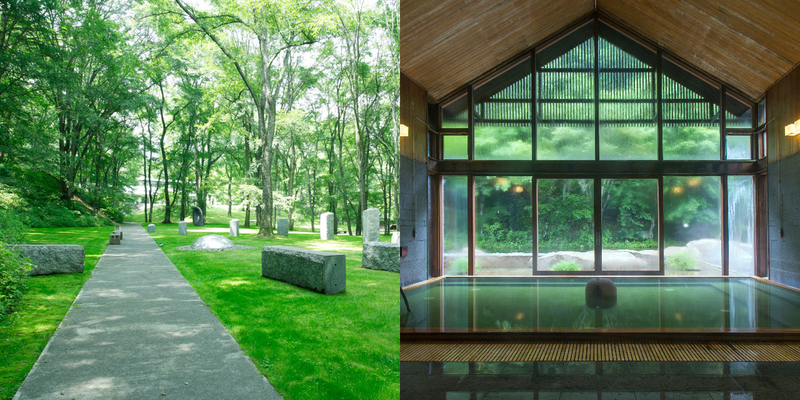 Or perhaps you’d rather enjoy the atmosphere at Karuizawa National Wild Bird Sanctuary Forest or Karuizawa Kogen Church. Whatever you choose to do, don’t miss the opportunity to have a dip in one of the many hot springs gathered in this area, including Hoshino Onsen, Sengataki Onsen and Shiotsubo Onsen.